What is FND or conversion disorder? Functional Neurological Disorder (FND) also known as Conversion Disorder (CD), is a disabling and distressing neurological disorder. For a long time, FND lacked a medical home, slipping through the great divide between neurology and psychiatry in Australia. What happens after a diagnosis of FND? Many people with disabling neurological symptoms have gone for years misdiagnosed or without a diagnosis. On diagnosis, many people with functional symptoms have been sent away with no treatment or support services. For the majority of people with FND, a comprehensive multi-disciplinary treatment program is essential to manage symptoms and prevent permanent disability. What FND treatment programs are available in Australia? Specialised treatment programs for FND are limited in Australia. There is still low awareness of the condition across the community and health professions. There are many historical myths associated with the condition which continue to impact on the quality of patient care and access to necessary services. How possible is FND recovery? While some people with Functional Neurological Disorder may make a full recovery, there are those whose symptoms improve little despite access to the best multi-disciplinary treatment. What’s clear is people with ongoing FND symptoms require ongoing support to manage symptoms and disability for better health and wellbeing. FND support includes a mix of physical, occupational and psychological therapies. Many Australians with FND have also found relief with other therapies, positive activities and interests. Learn more about recovery and read some of our stories from others with FND. Start your road to recovery with a multi-disciplinary team of health professionals who treat Functional Neurological Disorder in Australia. We lead and participate in research and knowledge translation projects. We are experienced in consumer-led and co-design research and policy design. We’re here to listen to your ideas, issues and concerns and ensure your voices are heard within the industry. Let us know what’s on your mind. We offer peer and carer support and are working hard to implement support programs to help empower Australians in their FND recovery journey. Start your road to recovery with a multi-disciplinary team of FND health professionals in Australia. Register for our training and education sessions and get your clinic listed in our online directory. Stay up to date with our educational events and latest FND advancements, stories and more. “The disconnection I feel” – healing artwork by Leanne. 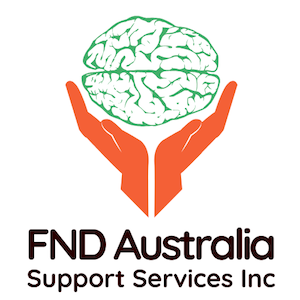 Our vision is to advance knowledge and services for people with Functional Neurological Disorder (FND) in Australia, to enable them to live fulfilling lives and reach their full potential. I consent to FND Australia Support Services Inc collecting my details through this form.